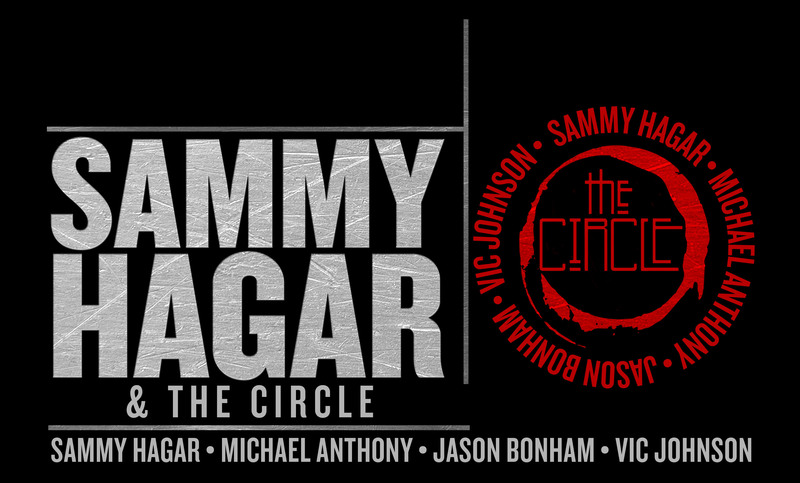 The Circle (Sammy Hagar, Michael Anthony, Jason Bonham, & Vic Johnson). The grandstand lineup at the 2015 Illinois State Fair is beginning to take shape. Illinois State Fair management is pleased to announce Sammy Hagar and The Circle will take the stage opening night, August 14. 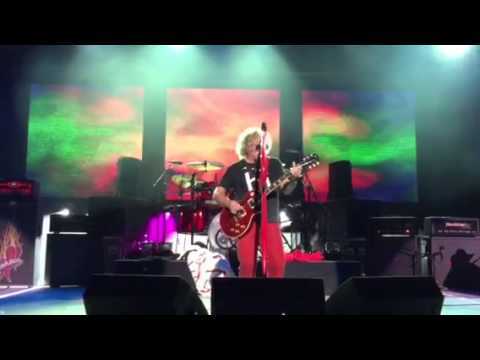 Hagar has been rocking the music industry for nearly 40 years. 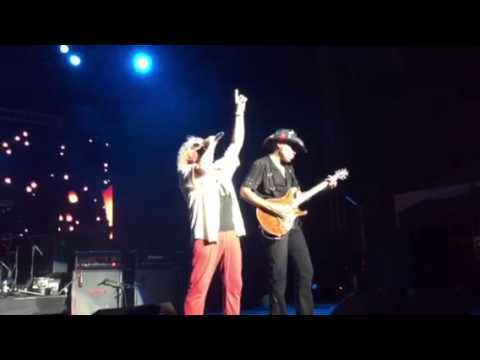 In addition to a successful solo career, Hagar is well known as the former lead signer of Van Halen and Montrose. Hagar has produced hits such as "I Can't Drive 55," "There's Only One Way to Rock," "Your Love is Driving Me Crazy," and "Three Lock Box." Joining Hagar as he takes the stage will be fellow musicians Michael Anthony, Vic Johnson and Jason Bonham. The trio call themselves "The Circle." Opening for Sammy Hagar and The Circle will be the alternative rock band, Collective Soul. The Atlanta-based band shot to international fame with their 1993 hit song, "Shine." The band's other hits include, "December," "The World I Know," and "Heavy." 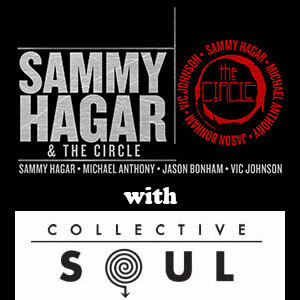 Tickets for Sammy Hagar and The Circle with Collective Soul will range from $48 for VIP seats to $26 for Tier 3 seats. Concert tickets will go on sale Saturday, April 18th at 10:00 a.m. through TicketMaster. The Illinois State Fair does not provide refunds or exchanges on ticket purchases. All sales are final. Ticket prices for each of the shows are listed below. The presale code is REDHEAD! More details regarding ticket sales, special events, and additional grandstand acts will be released in the coming weeks and months. Dates for the 2015 Illinois State Fair are Aug. 13-23. Fantastic show, visuals, music all first class, they put on a great show, 40 years of material, why not. They don't hold back, they give it their all. Was not disappointed. Great weather, wonderful night. 3rd of 3 Shows I will attend this Summer...! VIPIT HOPE SAMMY INVITES ME UP TO SING WITH HIM!!! Lol. Where do I enter the pre sale password?? Does anyone have any extra VIP tickets for Springfield??? Were the VIPit tix available today? I totally forgot about the presale. Got em!! Totally excited about going!! Thanks for the info but for future dates where do you find presale password?? Thanks for the presale code, but for future shows where do you find it on here???? is there a limit on how many tickets 1 person can order at 1 time? When is the earliest I can prebuy tickets for the Illinois State fair? Anyone know what the presale code is or when it will be released? Need info on the presale password, can't miss this show! where do I get the presale password for the 8/14/2015 show? What is presale password for the Il state fair show. Cant wait, Really want to get VIP tickets! !